Have you ever wondered how summer would look like in just one clothing piece? Just me? Well, this is what summer would look like in a dress. It has the perfect white and blue stripes, off shoulder line and ruffles, all in a light fabric. Basically, everything we want in summer: cute, light and fun, yet easy to wear. The tittle of the post has a double meaning. Not only would this dress be a wonderful interpretation for summer, but this summer I plan to live in this dress. I will admit that my favorite part is the ruffled off shoulder line of the dress. Honestly, can't wait to style it more. Imagine how pretty it's going to look at the sea side! 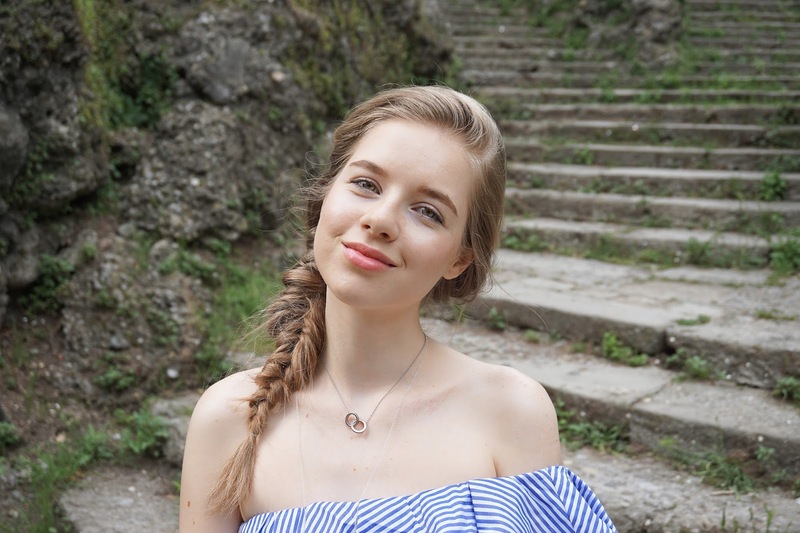 This time, I chose to wear it off shoulder, because it suits better my current style, however you can also wear the SheIn dress on the shoulder, like it was intended. You know, I just like to "make it my own". This dress is combining my favorite things! 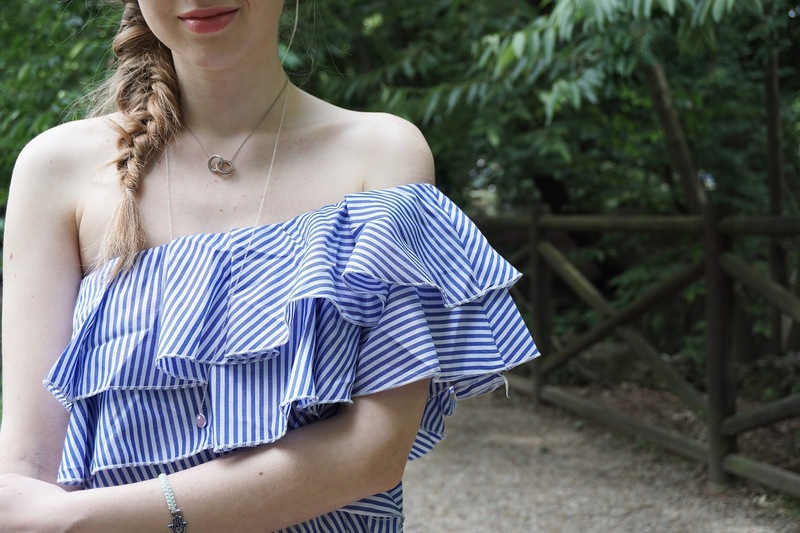 I love stripes and ruffles! gorgeous summer dress. Love the ruffle details.